We are a community of volunteers. Most of you reading this already are giving back to your community, serving on the boards of nonprofits across Northwest Indiana or volunteering your time and talents to help fulfill the missions of other organizations. Community service in retirement: With the goal of providing some inspiration, allow me to share my path to the most exhilarating, enriching and deeply rewarding time of my life. My 35-year banking career began in corporate lending and management at a large Chicago bank, provided me with a wealth of training and experiences that I was able to bring home to the Region in a senior management role with Mercantile National Bank. My 22 years in banking in the Region included serving on the Mercantile board and retiring as regional president for BMO Harris Bank. Of my greatest rewards, as my career advanced, were some of the opportunities to serve as a volunteer on a variety of boards, building other leadership skills and refining what was important to me. One of these privileges was to serve for many years on the board of the Community Reinvestment Project in East Chicago (CRP). CRP was a community development corporation, organizations created to rebuild depressed neighborhoods in our inner cities and provide affordable housing. The CRP board included two inspirational religious leaders who kept us focused on the primacy of the families who needed stability and safe, affordable homes in their neighborhoods. During my final years in community banking, I was invited to join the board of the Boys and Girls Clubs of Northwest Indiana. Their programs provide youths between the ages of 6 and 18 with a safe place to go after school. Programming is designed to develop good character, healthy lifestyles and academic success while having fun. Upon retirement from banking, I wanted to do something different. Drawing on my experiences in East Chicago and on the Boys and Girls Clubs board, I saw the opportunity to fulfill my passion to serve with organizations that focus on youth development in low-income areas of our community. A background in banking, finance and management prepared me to serve in leadership roles in a variety of organizations serving youth in Northwest Indiana. Serving as vice chairman of the Center of Workforce Innovations opened the door to a year’s service as an AmeriCorps Career Advisor at Calumet (New Tech) High School. Calumet serves an ethnically diverse, lower-income demographic. Spending a year working with the guidance counselors, teachers, administrators and, most importantly, the students at Calumet and witnessing the challenges and stress these people faced firsthand was a life-changing experience. In late 2012, we had a management change at the Boys and Girls Clubs. The board persuaded me to step down from the board to assume the management role as interim director/CEO just as we were about to start the major $5.6 million rehab of the old Tolleston High School in Gary. The interim role extended for almost two years, allowing me to play a meaningful part in the completion of the new John Will Anderson Club and work closely with the dedicated staff who are changing lives of our young members every day. Additional opportunities in retirement included serving on the leadership team of Ready NWI (a collaboration of education and business leaders), Youth Employment Council (projects including the promotion of Work Ethic Certification), the board of MAAC Foundation (developing and operating a first responder training academy) and election to the Valparaiso City Council. As you progress through your careers toward retirement, recognize the skill and passion you can bring to serving your community. With proper planning and consideration, you will be able to use your rich background, resources and skills in retirement and look forward to getting up each morning and doing something you love through volunteering and community service. 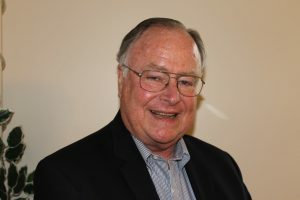 Mike Baird is a retired banking executive and active community volunteer in Northwest Indiana.